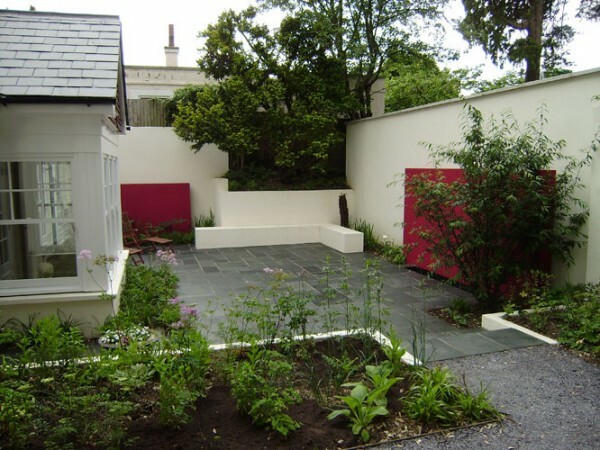 A new extension to a coach house required a new courtyard to go with it. 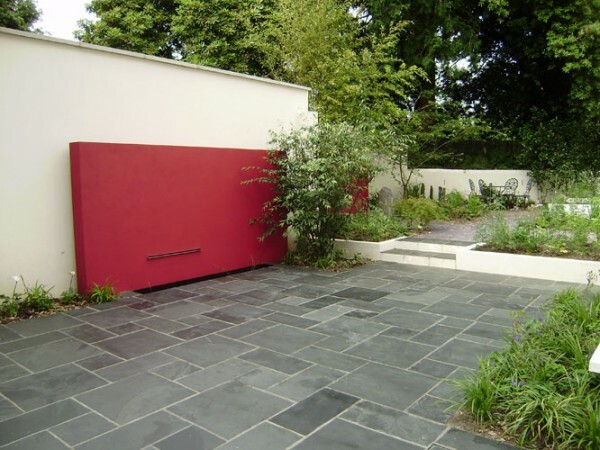 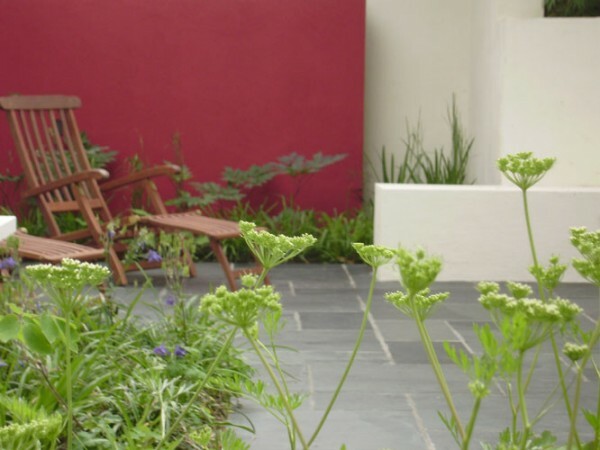 Rich red blade walls enhance a secluded courtyard softened with planting. 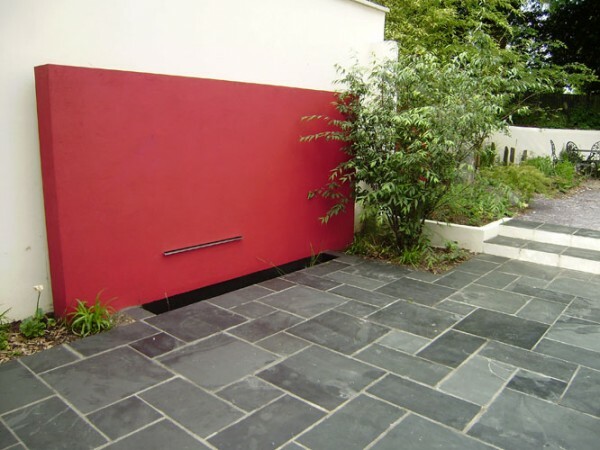 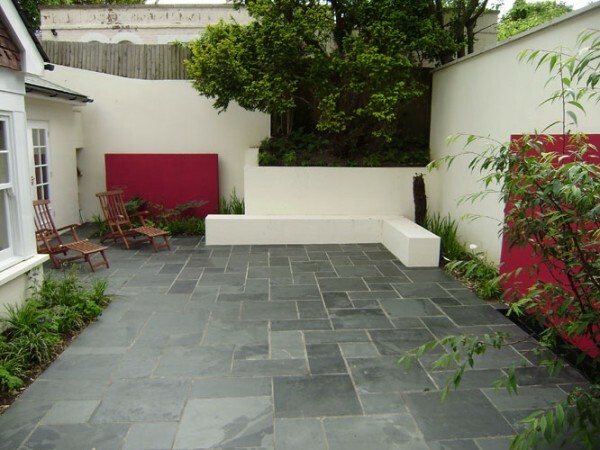 Slate paving and a water feature were installed.